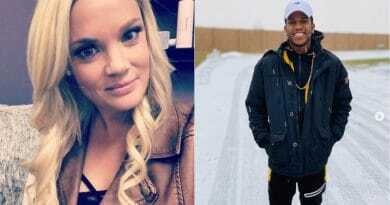 90 Day Fiance‘s Ashley Martson and Jay Smith seem to be in constant controversy and this time, fellow TLC cast members are turning on them. It’s an every day occurrence for TLC viewers to roast these two on the regular for what they see as dishonest behavior. The pair have an extensive history of alleged false stories, leaking their own info then acting shocked, and outright fibs. Here’s their latest drama, what Jay Smith and Ashley Martson were caught doing – and which cast member called them out (and called them names)! 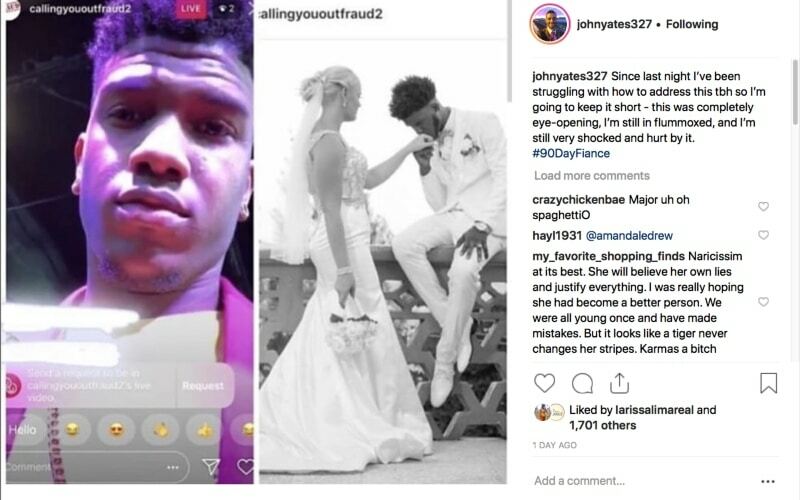 Fanatics of the TLC show know the Instagram account “callingyououtfraud2” is the one that “leaked” Ashley and Jay’s wedding pics from Jamaica. Of course, it turned out that wedding was just for show. But the big news is that Jay Smith went on live stream on Insta using the “callingyououtfraud2”. So that indicates they were the “leaker” since it’s their account. 90 Day Fiance fans expressed outrage over this reveal. When the wedding pics came out, Ashley Martson and husband Jay Smith tried to blame the pic leak on scooter aficionada Natalie Crawford. If Jay did a livestream under the leak account, it’s fair to assume it belongs to them and they are the leakers. Further, fans felt shocked and lied to juging by harsh comments online. You can see in the screen grab below – Jay livestreaming on the leak account on the left and the wedding pic “leak” from the account on the right. Along with viewers, fellow 90 Day Fiance cast members are also speaking out against Ashley and Jay’s deceptive antics. YouTuber Auntie’s Advice recently posted a live video from TLC alum Tarik Myers. He didn’t say their names directly, but he made it very clear he was talking about Jay and Ashley. He railed against them lying to fans and “scamming” for money. In addition, Tarik joined fellow TLC stars like Paola Mayfield, David Toborowsky, and Steven Frend in denouncing Ashley and Jay. Paola talked about how she fell for the plotting and once defended them. David expressed his shock. He said that he’s hurt and that he feels “betrayed” by their actions. Along with also feeling betrayed and hurt, Steven Frend added that their behavior hurts all the cast. Then he said he tried to help Ashley Martson when “Jay did something awful to her that her kids saw”. Of course, Jon Walters chipped in with his two cents. In typical Jon fashion, he called them “Pathetic c****”. 90 Day Fiance viewers know that is his favorite word to use for people he doesn’t like. See their comments below. 90 Day Fiance: Latest Incident a Slip or a Stunt? So this all begs the question – did Jay accidentally livestream on the leak account? Or was this another strategic move to maximize drama? It could be a legitimate faux pas. That said, it’s just as likely that 90 Day Fiance Jay did it to get a reaction from fans and keep the spotlight on the TLC pair. 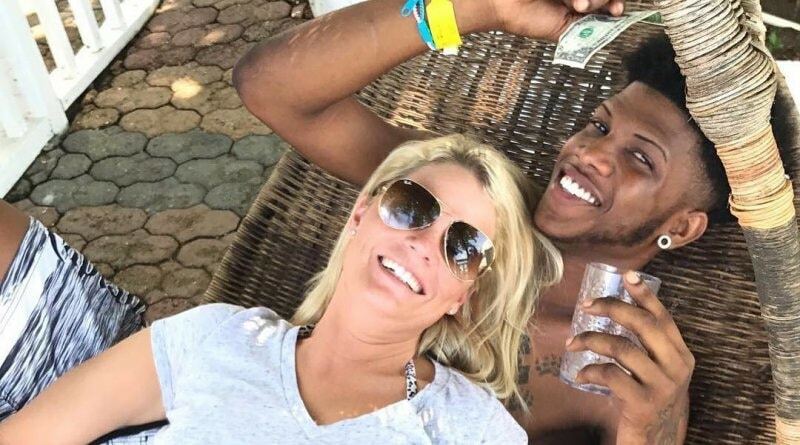 In addition, Ashley Martson and her hubby Jay Smith both deactivated their Instagram accounts following Jay’s live-streaming incident. However, it didn’t take Ashley very long to reactivate. As of now it looks like Jay’s account is still not active, but it might only be a matter of time before he returns to the social media platform. Whatever the motivation, it seems fans are not the only ones fed up with Ashley and Jay’s antics. It appears Gottex Studio is parting ways with Ashley Martson as a brand ambassador. Certainly, with all the negative attention the pair are bringing. So, the company had no choice but to cut ties with the 90 Day Fiance cast member. Interestingly, Gottex Marketing Director Carissa Rossi said that she “should take a step back and take a closer look at who we work with”. You can check out some of the outraged fan comments below responding to many instances of tea spilled recently on Ashley and Jay’s alleged dishonesty. 90 Day Fiance: Are Fans Finally Done With Ashley & Jay ? Jay Smith and wife Ashley Martson managed to come back from numerous 90 Day Fiance scandals in recent months. That said, there may be no coming back from this for the TLC pair. Many fans and fellow cast members are outraged. They are calling for the two to be pulled from the upcoming season of 90 Day Fiance: Happily Ever After. 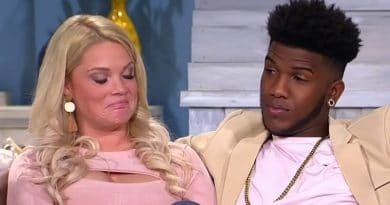 Ashley Martson revealed recently that she and Jay Smith were scheduled to appear in two more TLC series after 90 Day Fiance Season 6. But with brands pulling their endorsements and angry fans chomping at the bit to rake them over the coals, this may be too much for TLC to ignore. Did Jay exposing the leaker lie sink them for good? Come back to Soap Dirt for more on this developing 90 Day Fiance story. ← ‘Sister Wives’: Kody Brown Not Only Rooster In Hen House – An Ex Stirs Trouble? 90 Day Fiance: Ashley Martson Withdraws Divorce Paper – More Frauding?